Each month, Deborah DiMare hosts Coffee Talk with LuAnn Nigara's Fan Club. She, along with designers from all over the world, chat about a previously heard “A Well Designed Business” podcast. If you RSVP, you will be able to join the live video chat where you can interact with Deborah and the other guests! For those who miss the cutoff, don't fret! You can watch the recording of the call on LuAnn Nigara's Facebook Group! “A Well Designed Business” is the most listened to interior design podcast heard on every corner of the globe. Out of demand from our community, we created “Coffee Talk with LuAnn Nigara's Fan Club” to discuss a previously aired episode in more depth, together as a group. Coffee Talk is FREE and amazing! Space is limited so make sure to reserve your spot to connect with others in your industry & join the camaraderie. It’s informal & cozy and you’ll learn a ton! RSVP For The Next Call! 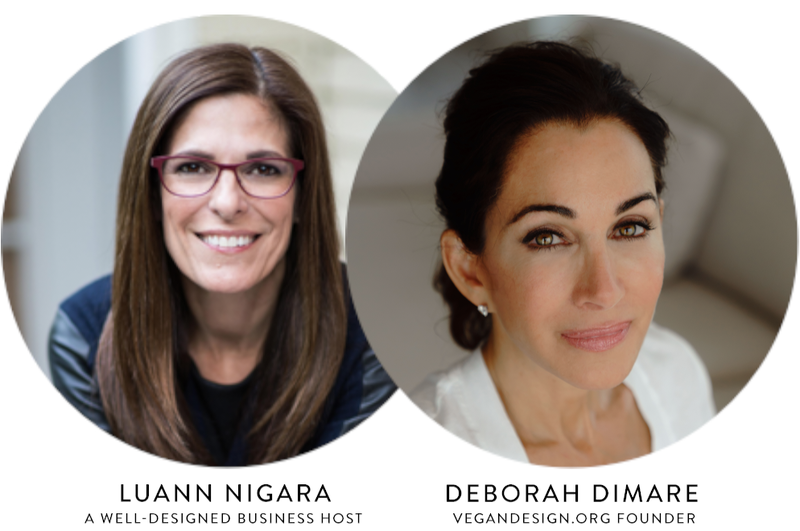 Are you a VeganDesign.org Council Member?